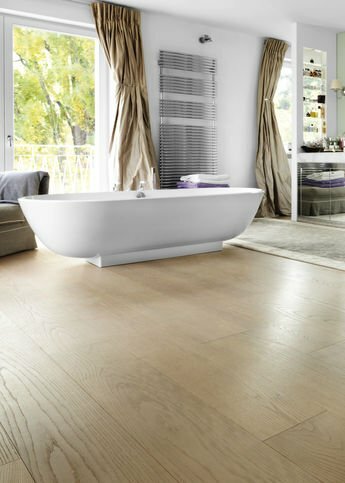 As a trendsetter in the wooden flooring industry mafi breaks new ground once again and offers unique floor innovations for wellness and wet areas. The swelling and shrinking behaviour of the wood is almost totally eradicated thanks to the special thermal treatment. The naturalness of the wood allows moisture to be absorbed to a certain degree and even released again. In this way, the interior climate and humidity in the wet areas are regulated in a natural way. Of course, the design is also not forgotten. 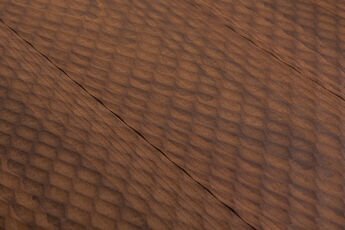 The mafi Fresco line stands out thanks to not only the warm brown colour but above all by the machined 3D surface. Within the Fresco Edition, surfaces are distinguised by Duna (waves), Punto (points), and Rombo (diamonds). Especially going barefoot delivers a pleasant massage effect and is complemented by an extravagant yet harmonious floor appearance.